Something from my bar whenever I feel like it episode CXVIIsteemCreated with Sketch. 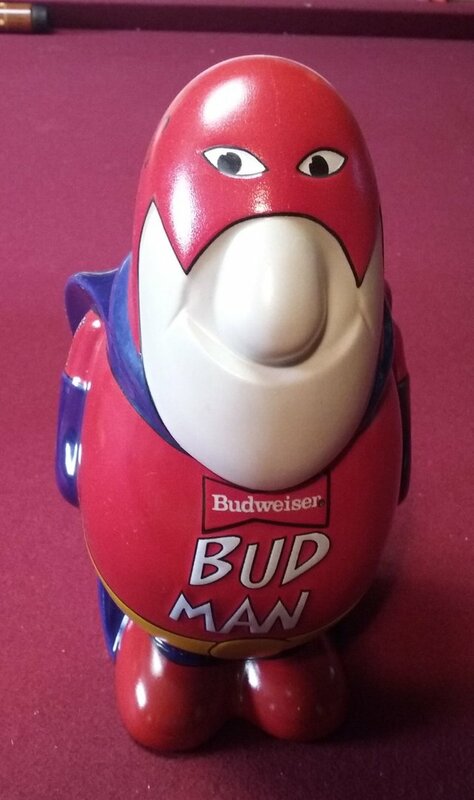 The second version of the Bud Man Stein was introduced in 1989. In the 14 years since the original, he really didn’t change that much. He was still a rotund little fellow, although at 8" he had grown a little. He took to wearing a yellow belt, and now favored a red no-knot bow tie with Budweiser written across it. His uniform gained the word "genuine" on the sleeve and he changed from blue to red shoes. 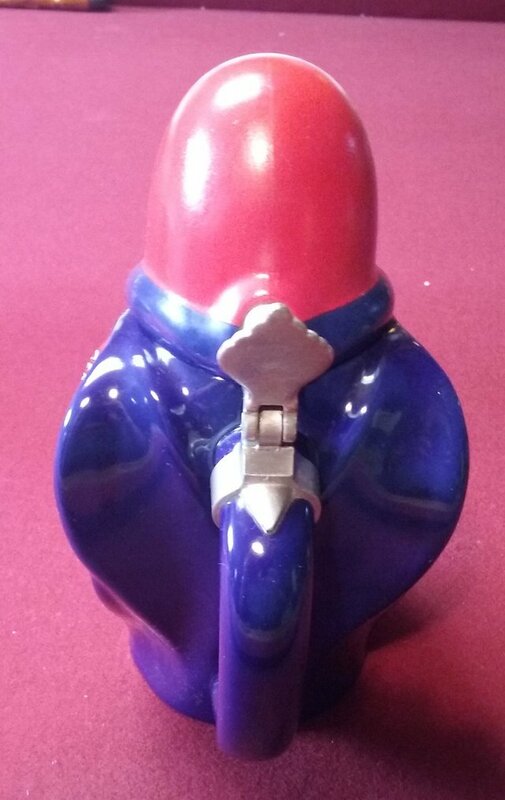 The most noticeable difference was that the lid was now formed from his entire head, with the stein opening at his shoulder line. 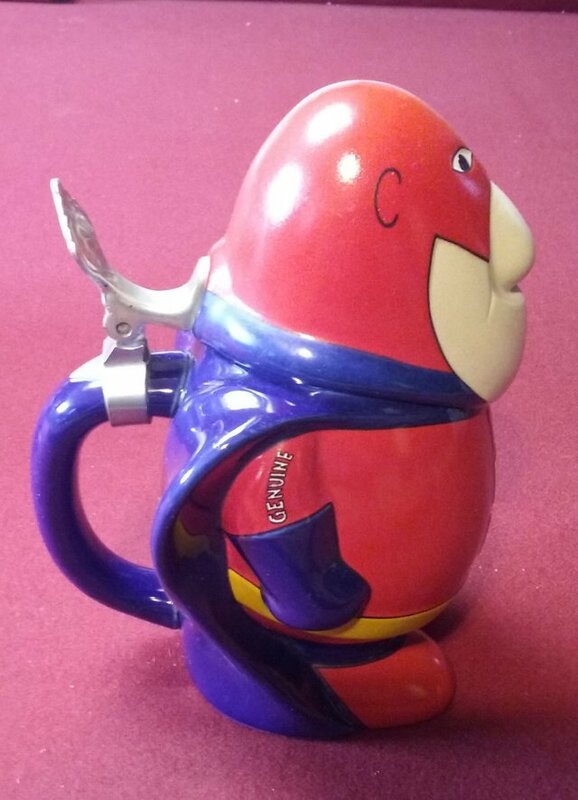 Again the stein was produced by Ceramarte of Brazil and was issued in an "open" edition. 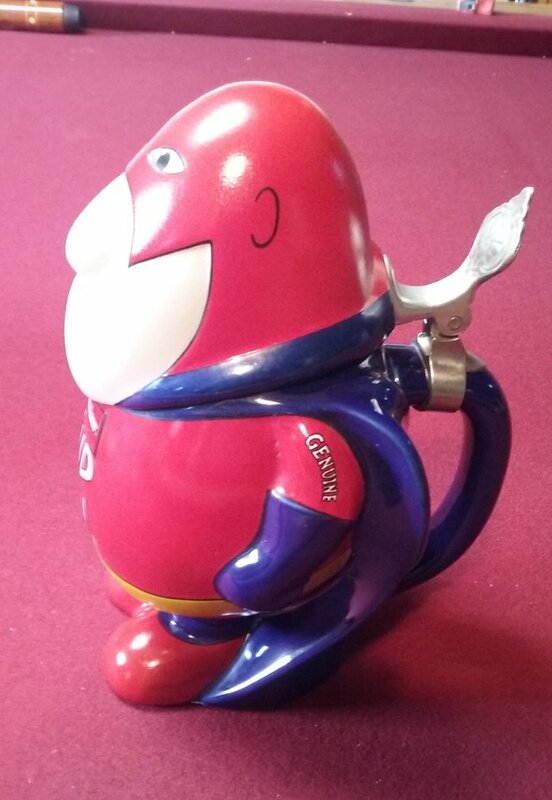 At a retail price of $29.95 he had been seriously impacted by inflation, but was still popularly priced. Another Christmas gift. 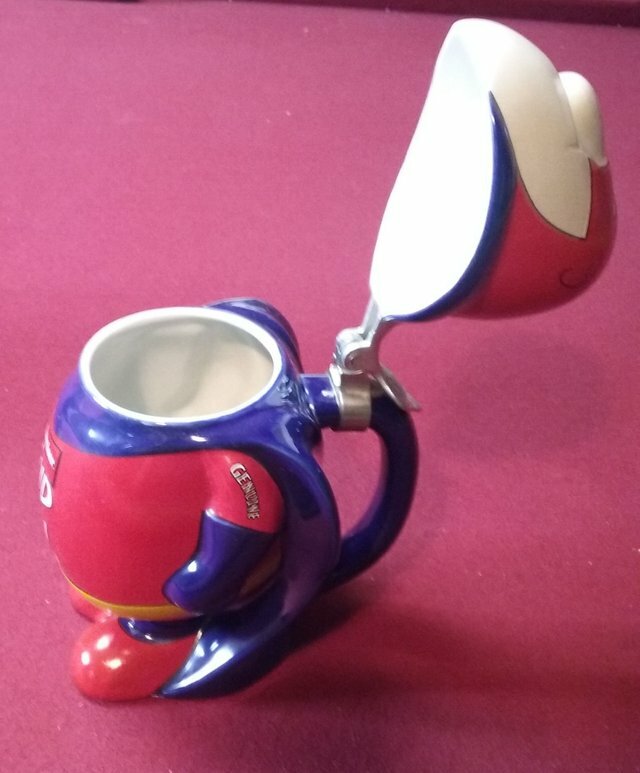 It is an actual working stein but of course it has never been used as one. Just a neat decoration for the bar.